Choosing a sleeping bag is important business especially if you might encounter cooler or colder weather. Before getting into the details of how to select a specific sleeping bag, you should tuck the following information into your mind. First, the temperature rating on the sleeping bag is an average for ALL people which means some people may be hot in a bag, some people may be cold in the same bag and some people may be comfortable in the bag. 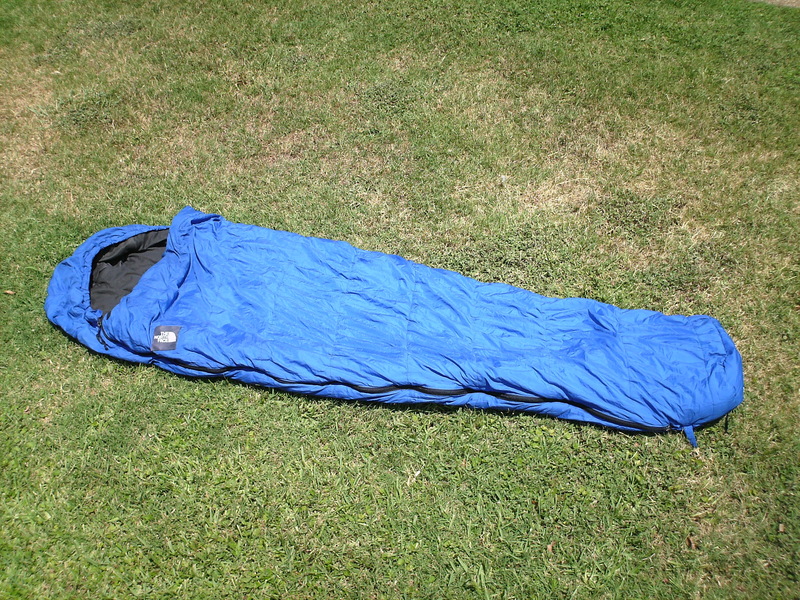 Second, all temperature ratings are based on the following four criteria, the person is sleeping in a tent, the person using the sleeping bag is hydrated so their body is operating efficiently, the person is fed for the same reason and the person is laying on a sleeping pad to insulate themselves from the potentially cold ground. Third, if, you are always cold at home, choose a sleeping bag that is rated 10 degrees below the expected low temperature of your destination so you can stay warm at night. The choice of equipment is yours and your choice will depend on what type of camping you want to do, what time of year you plan to camp, where you plan to camp and how much money you have available to invest in gear. The sleeping bag will be made with one of two insulations. The first is goose down and the second is synthetic insulation. Goose down is the best insulator because it generally weighs less than synthetics, it compacts smaller than synthetics and the insulation retains its ability to insulate at its advertised temperature for a longer period of time. The disadvantage to goose down is that it is harder to dry out when wet, it costs significantly more than synthetics and some people are allergic to the dust that can be found in the goose down. The second insulation is synthetic fibers. There are many types of synthetics and each one has its own properties or characteristics, but in general all of these insulations do the same thing which is conserve or trap your body’s heat. The advantages of synthetic fibers are that they cost a lot less than goose down and are easier to dry when wet. The disadvantages of this type of insulation are the durability of the insulation which may only insulate at its advertised temperature for only a few years and that this insulation does not compact as well as goose down. The choice for most people that camp close to a car is to buy sleeping bags that use synthetic insulation because these bags cost less, are easier to dry out when they get wet and are generally easier to clean. The sleeping bag can come in three different shapes: the rectangle, the semi-rectangular and the mummy. The mummy is designed to be the most efficient bag for conserving or trapping your body’s heat. This is because there is less space in the sleeping bag for your body to heat and therefore your heat is used more efficiently. This type of sleeping bag generally weighs less than rectangular or semi-rectangular bags if they all are made of the same materials and it will be the most compact of all of the sleeping bag types. These bags are generally used by backpackers or campers in cold temperatures. 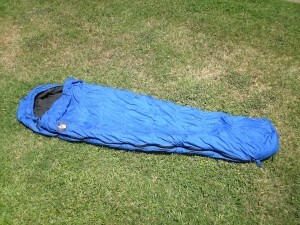 The rectangular sleeping bag is the most common type of bag people buy for car camping. These bags tend to have a lot of space inside and are good for larger people or people that prefer more space inside the bag so they can move around at night. These bags, like all quality sleeping bags, can be combined by zipping two bags together in order to make one big sleeping bag. The semi-rectangular sleeping bag is designed for people that don’t like a bag as constricting as the mummy but at the same time need a bag that is more efficient with a person’s heat. Backpackers that do not like mummy bags choose this type of bag because it is a good compromise in weight, compactness and efficiency. First, always store your sleeping bag in a dry location at room temperature as well as in a loose bag in order to reduce damage to the insulation. If a sleeping bag is stored under poor conditions for a long period of time, the insulation is going to go flat and not fluff or loft up. It is in the air space between fibers where your body’s heat is trapped keeping you warm. So if there is less loft in a sleeping bag it will be not as warm on a cold night. When washing a sleeping bag, you can put it in a washer at home. The best type of washer is one that does not have an agitator or post in the center of the machine. The reason for this is that the post tends to put to extra stress on the seams of the sleeping bag. If you do not have a front loading washing machine without an agitator, go to a laundry mat. Laundry mats generally will have front loading machines. In order to dry the sleeping bag, you can use a regular dryer. Just make sure that the dryer is not too hot because a really hot dryer could melt the nylon shell of a sleeping bag. 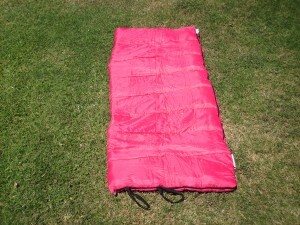 -The sleeping pad is a very important piece of gear because it insulates you from the cold ground. In addition, it provides comfort from the ground below the tent. These two benefits help the camper obtain good nights sleep in preparation for the next day’s adventures. There are various types of sleeping pads, some are made of closed cell foam, some are self inflating and made of open cell foam and yet others are designed to be inflated by a pump. In general the closed cell foam pads are the lightest but the least comfortable, but, they still offer insulation from the cold ground. 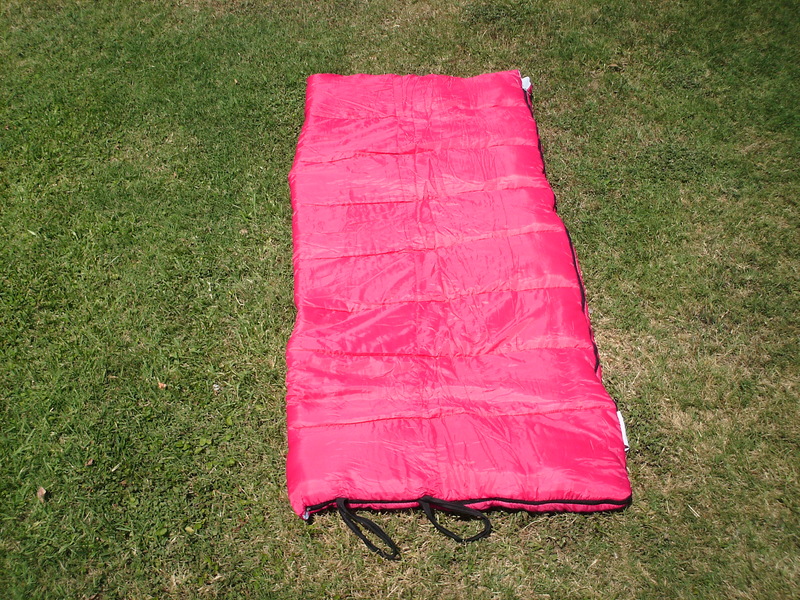 These types of sleeping pads are good for kids because their bodies adapt well to harder ground. The self-inflating sleeping pad comes in various thicknesses and is very comfortable. This is generally the choice of backpackers and people that camp near the car because this pad is a good balance of size, weight and comfort. Given all of these wonderful features, these pads are also the most expensive. Finally, there are pads that inflate with a pump. These pads are generally used by people that camp near the car because these pads tend to be bulky and weigh the most.